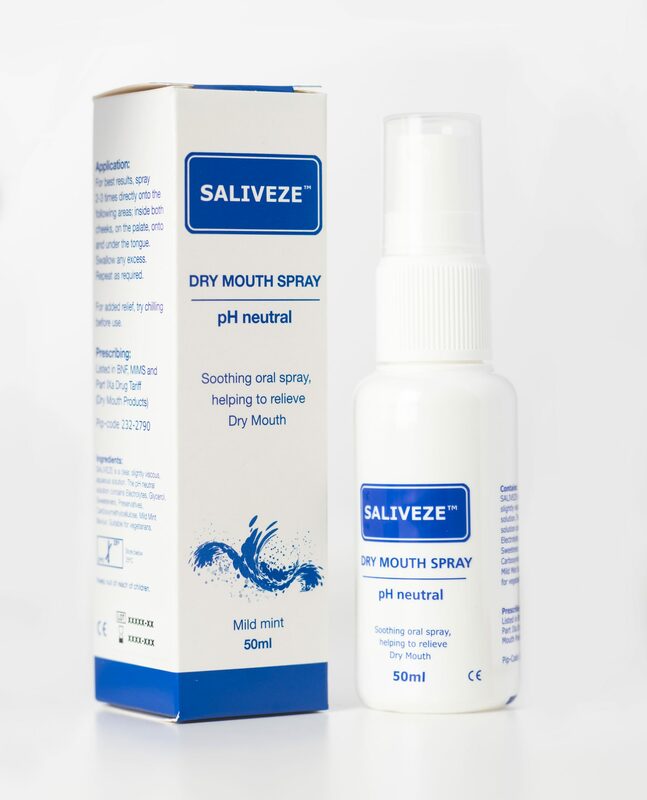 Saliveze Dry Mouth Spray is a mild flavoured, pH neutral spray packed with electrolytes that offers relief from the symptoms of Dry Mouth (Xerostomia). Being pH neutral is important, as any increase in acidity levels in the mouth can lead to increased soreness and tooth decay. 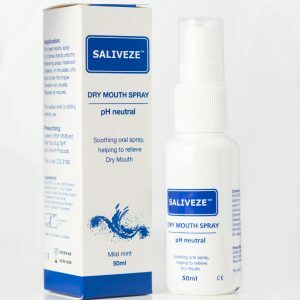 Saliveze can also be prescribed in the UK and is a medical device listed on Part IXa of the Drug tariff – Dry Mouth Products. Pip-code 232-2790 (often used by a pharmacist to source and dispense the product).